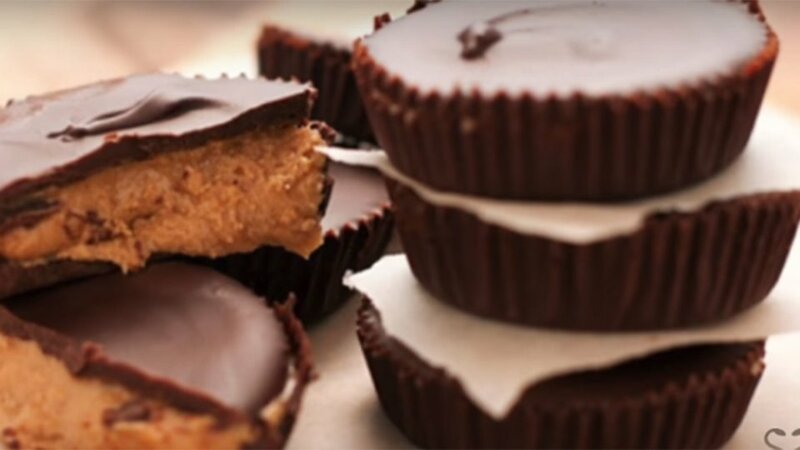 I think we can all agree that chocolate and peanut butter are an irresistible combination. With this easy recipe, you'll be able to calm your cravings and up your protein, too. In a small bowl, mix coconut butter and protein powder. Spread half of the mixture into a silicone baking cup. Place in the freezer for about 5 minutes, or until it's hardened. Remove from freezer and spread peanut butter on top of the first chocolate layer. Then, dump the remaining chocolate mixture into the silicone cup, covering the peanut butter. Place in the freezer for 30 to 60 minutes, until it sets. Once it's set, eat immediately or store the rest in the freezer for later!